Here’s a look inside an innovative culinary approach to social problems. With Vice News filming and Insurgo staff assisting, students crowd around the kitchen table to watch Chef Harold Villarosa, at right, demonstrate plating. 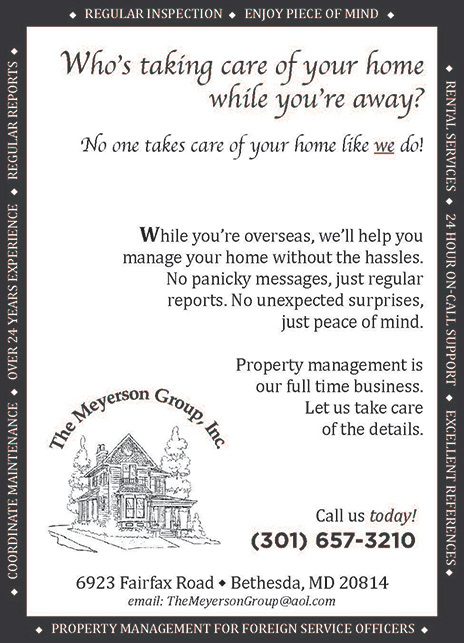 Long before the Department of State began exploring the reaches of “culinary diplomacy,” and well before the term entered our lexicon, civil and labor rights leader Cesar Chavez captured its essence: “If you really want to make a friend, go to someone’s house and eat with [them],” Chavez said. 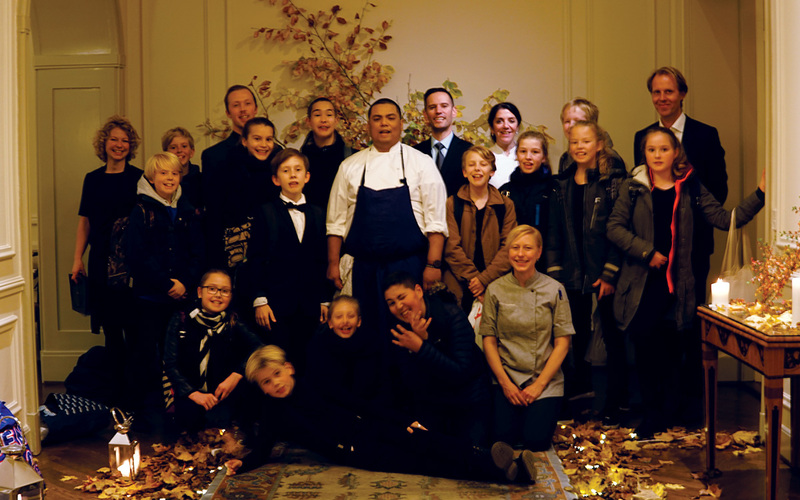 “The people who give you their food give you their heart.” On a cool evening in November 2017, Embassy Copenhagen did just that. We opened up Rydhave—the storied and magnificent chief of mission residence in Denmark—to an energized group of school children and to the Insurgo Project, an organization of restaurant professionals and culinary diplomats who weave together their passion for incredible food, marginalized communities, food justice and international outreach as seamlessly as the dishes they prepare. On this evening Rydhave’s formal dining and reception area were reconfigured to resemble a fine restaurant, replete with the highest standards of continental service. This may not be unusual in Scandinavia, but the fact that the residence and its kitchens were staffed nearly entirely by 11- and 12-year-old students certainly was. As with any successful dish, from street food to Michelin-starred fare, the evening’s event relied on many different ingredients. Insurgo’s dedication to empowering marginalized youth, sharing their expertise and fostering nutrition in underserved communities was the starting point. Insurgo, along with the associated Chefs’ Collective for Food Justice, was founded in New York City to address local social challenges and the growing needs these culinary professionals saw in their communities. The groups’ founders believed nothing should confine the ever-expanding farm-to-table movement and its nutritious food to wealthy neighborhoods, yet an invisible border was keeping these healthy options out of lower-income communities. Insurgo stepped in to spread the farm-to-table movement across the United States and around the world. Informed approaches to space utilization, urban gardens and cultivation have allowed Insurgo to help address the lack of access to high-quality food caused by limited local organic retailers and restaurants, high prices and uninformed food-selection decisions. Partnering with farms, restaurants, chefs and other food production professionals, Insurgo has also educated and empowered young people along the way. Insurgo stepped in to spread the farm-to-table movement across the United States and around the world. Insurgo was founded in 2013 by Chef Harold Villarosa, Chief Strategist Joaquin Elizondo and a dedicated team of supporters. Chef Harold, as he is known to his friends and colleagues, did not train at the Auguste Escoffier School of Culinary Arts or Le Cordon Bleu. No, his introduction to kitchens and the restaurant game began at a McDonald’s in the Bronx, where he worked when he was 15 years old. Villarosa moved to the United States from the Philippines as a child, and he says cooking saved his life. The number-one ingredient that led to his success: hustle. Without it, says Villarosa, all the talent in the world is meaningless, and he knows whereof he speaks. He attributes his climb from fast-food fry machines to world-renowned chef to hustle and a refusal to accept life as it is. He brings this spirit to those who train under him, and he confronts food injustice with the same passion. Chef Harold’s culinary travels brought him to Copenhagen in 2013, at the height of the then-emergent New Nordic Cuisine restaurant scene. He found work at NOMA, four times named the best restaurant in the world. Copenhagen’s Nørrebro neighborhood and the vibrant Bronx neighborhood of immigrants in which Chef Harold grew up are so similar that Nørrebro is often referred to as the “North Bronx.” It is seen as the center of Danish gang activity and social division—during the summer of 2017 alone, more than 30 people were shot in gang violence within this relatively small community. 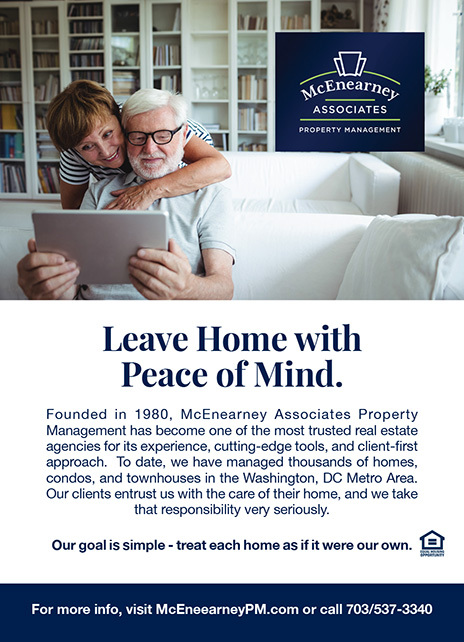 It was a place in need of Insurgo’s message of self-reliance, entrepreneurship and community health. Insurgo’s message of local food production, healthy eating and the do-it-yourself ethos found a receptive ear there. Chef Harold, the ever-diplomatic Joaquin Elizondo and photo journalist Ivan Halpern (who has long documented Insurgo’s story) paired with 14 enthusiastic children from Nørrebro Park Skole, who never imagined that in just a week Chef Harold would turn them into highly-trained, front-and-back-of-the-house restaurant staff. But he did just that. From kitchen staff, to waiters, to floor manager and maître d’, every student was assigned a role and every job was perfectly executed. Insurgo accomplished this through its Meal With a Purpose program, which condenses a months-long curriculum into seven days of education covering every aspect of the farm-to-fork movement, beginning with seed selection and ending with a cup (or two) of coffee following a wonderful meal. The students received a rapid but thorough course in the professionalism, teamwork, etiquette and discipline that make a restaurant function. Guests enjoy an evening of fine dining and continental service in Rydhave’s formal dining and reception area, staffed entirely by 11- and 12-year-old students. Chef Harold, center, with the Copenhagen “Meal With a Purpose” program’s students and staff. All of this training and education culminated in the dinner at Rydhave, hosted by the U.S. chargé d’affaires and organized by the embassy’s public affairs section. 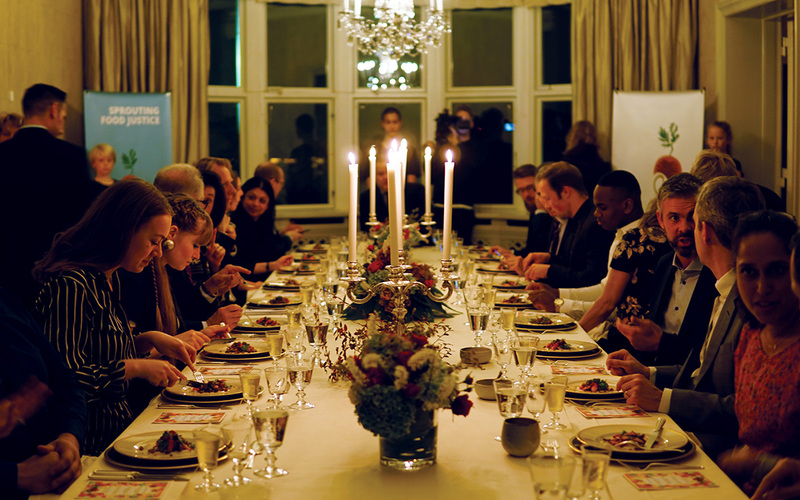 The 27 guests included leading Danish food critics and restaurateurs, food scientists, cultural writers, school teachers, principals and Denmark’s Vice News crew. Chef Harold believes in empowering children, teaching them to tell their stories through cooking, and showing them that there are few injustices in the world that cannot be overcome through dedication and self-reliance. Only two things are forbidden in his kitchen: unsafe behavior and self-doubt. The students functioned incredibly well; mistakes happened but were addressed with adroitness—and not a single dish was dropped. Group handshakes and high-fives were common throughout the evening, and the team cheer of “Yes, Chef!” resonated throughout the residence. When the event was over, the children were all smiling, displaying pride in their accomplishment. Promoting food justice, empowering the young and the marginalized, and telling your cultural story through food are all hallmarks of culinary diplomacy. 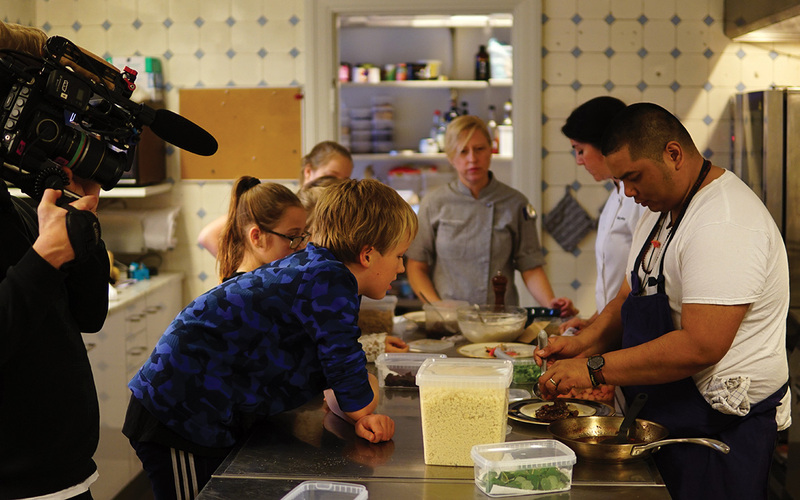 Embassy Copenhagen’s partnership with the culinary diplomats of Insurgo changed these children’s lives and has inspired us to do more. We are currently looking for ways to work with them again and to spread their concept of self-realization and improvement through food and entrepreneurship. 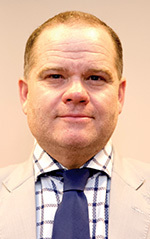 William O’Connor is a public diplomacy-coned officer currently at Embassy Copenhagen. This is his fourth tour and third PD assignment. He has served in Estonia, the Philippines and Afghanistan. Originally from Venice Beach, California, he was a lawyer and speechwriter prior to joining the Foreign Service in 2009.